At the heart of Hancock County is one thing: the community. The people who make up the community are unique and diverse in interests, backgrounds, and stories. Over the next few months we will be highlighting members of the community that you may see behind a shop counter, at an event, or in the grocery store and their stores. This month we will be featuring Gavin Creel, Olivier Award-winning and Tony-nominated performer, and Findlayite! Growing up, Gavin Creel knew that the arts were for him, but wasn’t sure in what capacity until his time at Findlay High School. He was involved in the arts world early on, serving in church and school choirs, taking piano and trumpet lessons, and listening to top 40 radio obsessively. In fact, Gavin says it couldn’t have hurt his future career that, as the youngest of three, he was compelled to be a show off! In fact, it was partially his older sisters, Heather and Allyson, that contributed to Gavin being bit by the performing bug. His sisters were part of the Jefferson Elementary School ensemble, led by who Gavin describes as “incomparable”, Nancy Glick, and he would sit and listen to the cassette tape recordings of their concerts over and over, counting the days until he was in fifth grade and could audition himself. When he was finally old enough, he participated in ensemble, choir, and glee club. Although there was a time in high school that he believed he may want to pursue being a director, after participating in some of the school plays and musicals, and later joining Findlay First Edition, he really fell in love with performing. Once Gavin knew he wanted to perform he explored the University of Michigan as a possible option for college, thanks to a friend and student a year older than him, Jonathan Baker. Once he visited campus he knew Ann Arbor would become his next home and where he was meant to be. Since leaving Findlay and graduating the University of Michigan in 1998, Gavin has performed in legendary shows like Hair, Thoroughly Modern Millie, Mary Poppins, The Book of Mormon, and, currently, Hello, Dolly!. He has shared the stage with some of entertainment’s biggest stars, among them Julie Andrews, Jane Krakowski, Bette Middler, and more, across the country and across the globe, performing in Broadway and in London. In fact, Gavin said the greatest thing about being in the theatre world is that with each show comes an entirely new group of people that, until that moment, have not come together and who will create something brand new. He says it is those instances and those people who are the reason he continues to enjoy doing what he does. Although being on stage and performing, getting applause, and doing press can be fun, the community is why he loves theatre. He finds them to be open-minded, passionate, diverse, and alive and it is because of those things that he has gained so many friends within the community. When asked to pick a favorite cast, Gavin couldn’t, however he did say that the cast and show he is currently working on, Hello, Dolly!, has been a dream to work on. He said putting the production together with an incredible group of people and getting to help bring back a kind of joy into the world has made him feel very lucky. And while he has loved something about every show he has done, he felt there was something special about Hair. He says the entire production, from the message to the people he worked with, was able to make him feel alive in a way that he hadn’t prior, and made the experience feel very important, and one that he cherishes. Gavin hasn’t lived in Findlay in many years, and his parents moved away several years ago, however he says he is very proud to have come from Findlay and the Midwest. In fact, he says that even living in a very energetic and extremely diverse New York City he can always recognize a Midwesterner. He says there is something in a Midwesterner’s upbringing or culture or behavior or outlook that makes up a person’s being. He says, “No matter how far away I move from Findlay, it is a part of me, and I’m proud of that. I like us!”. In all the success that Gavin has had on stage, he says that education has been his pathway. For those looking to pursue a career in the arts Gavin encourages them to do just that – chase art, not fame, and to definitely pursue an education. In fact, among all the accolades and awards Gavin has received, he doesn’t choose his Laurence Olivier Award, or his Tony Award nominations, he chose the honor of being asked to speak at the University of Michigan graduation in 2012. At the time he was only 36 and didn’t feel like he was old enough to have something impactful to say, but he shared his perspectives up to that point. In the speech he highlighted how important it is to be joyful and to try to stay fearless, which he says is so important for those who want to pursue a career in the arts, among creativity, a sense of adventure and imagination, and the speech remains something he is incredibly proud of. The stage will be set on May 1 when Gavin Creel hits the stage for his one-night-only performance at the Marathon Center for the Performing Arts! Looking toward the immediate future, Gavin is looking forward to continuing his role as Cornelius Hackl in Hello, Dolly! on Broadway and, of course, performing at the Marathon Center for the Performing Arts in a special, one-night show entitled, “Coming Home to You”. During this sold-out show, Gavin will be performing songs you know, experienced in a new way. Gavin says he is hoping to mix in musical theatre favorites with a slightly re-imagined sound and feel with some moments from popular music canon as well. While at the show, make sure you stop by the Marathon Center for the Performing Art’s Wall of Fame, in which Gavin was member of the inaugural induction, recognizes those who have academic, professional and/or civic ties to Findlay and Hancock County area, and whose impact has been recognized at the highest level in music, dance, theatre and visual arts. When it comes to Findlay, Gavin says there is an obvious first stop – Dietsch’s! The chocolate covered pretzels are his favorite, and quickly followed by a meal at Wilson’s Sandwich Shop. For a day that doesn’t revolve around Wilson’s hamburgs or Dietsch’s pretzels, Gavin’s favorite type of day in Findlay is a summer afternoon in which you can get sweetcorn at Wolfe’s Produce, then head to a friend’s (in his case, the Gossman’s! ), cook it with a great barbecue and savor it. Gavin’s favorite event growing up was the arts festival that took place in Downtown Findlay, and while that event is no longer happening, there are so many ways to support the arts otherwise. From attending shows put on by Findlay First Edition and local school’s arts programs or at Fort Findlay Playhouse and Marathon Center for the Performing Arts, going to The Arts Partnership’s YouTheatre productions and year-round events, and more. Gavin encourages people to become more involved with the arts organizations in town and see (even if you don’t necessarily like) it all. He encourages people to support the Marathon Center and help build its reputation within the state, but don’t stop there. Gavin stresses the importance of investing in school arts program.  He finds them to be imperative and gives young people the opportunity to explore and appreciate the vast and wonderful landscape the arts provides, and can reap a bountiful return on the Findlay community. In a world that is divided, the arts are a common ground all can enjoy and share, forcing the audience to think, rejoice, emote and confront themselves and something to hold on to in the future. You can find Gavin on stage in Hello, Dolly! at the Shubert Theatre in New York City, and on stage at the Marathon Center for the Performing Arts in Findlay! You can also find him online and follow him on Facebook! Don’t miss out on other community members we have highlighted through the community spotlight series! Now that the weather is nice, don’t cook – eat out! Stay Lenten friendly with these meals, or find out the best places to get a burger or pizza, celebrate the weekend by checking out one of these great places for live music, or take advantage of one of the many great events taking place!